St. Anthony Shrine Parish located south of Mount St Mary's University in Emmitsburg Maryland. 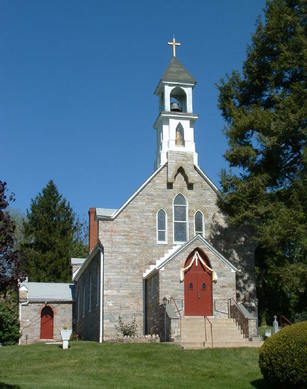 Our Lady of Mount Carmel is located in the heart of Thurmont Maryland. From Washington take I-270 north to US 15 towards Gettysburg. 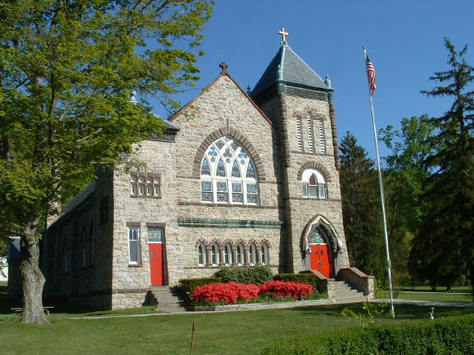 12 miles north of Frederick, look for signs for Thurmont, Maryland. There are three exits for Thurmont, take the second exit: Route 77. At end of ramp, go left (east) to stop light in center of town. At stop light, turn left (north). Go 400 feet. Our Lady of Mount Carmel will be on your left (west). From Baltimore, take I-695 exit 20 to I-795 to MD 140. Follow MD 140 towards Emmitsburg. At US 15 intersection, go south on US 15 past Emmitsburg. Go approximately 5 miles. Look for signs for Thurmont. There are three exits for Thurmont, take the second exit: Route 77. At end of ramp, go right (east) to stop light in center of town. At stop light, turn left (north). Go 400 feet. Our Lady of Mount Carmel will be on your left (west). From PA come south on US 15. Stay on US 15 past Emmitsburg. Go approximately 5 miles. Look for signs for Thurmont. There are three exits for Thurmont, take the second exit: Route 77. At end of ramp, go right (east) to stop light in center of town. At stop light, turn left (north). Go 400 feet. Our Lady of Mount Carmel will be on your left (west).